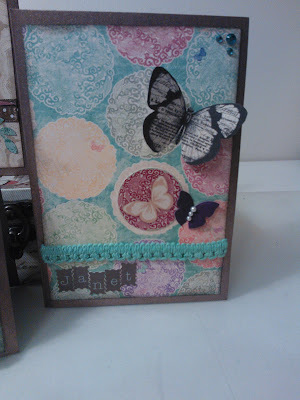 I am looking forward to a scrap n yap this Saturday night at Scrap it Flaunt It with one of my best mates - who is just venturing into this world of scrap book madness! 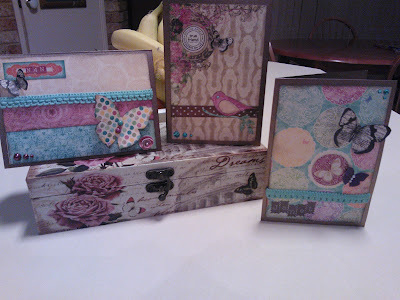 I have been working with Bo Bunny Ambrosia papers this week - love them!!! Here are some cards I made.